This Single Malt of the South Highlands with a rich honey flavour belongs to the famous Classic Malts Selection. This whisky has received a silver medal at the "San Francisco Spirits Awards" in 2018. 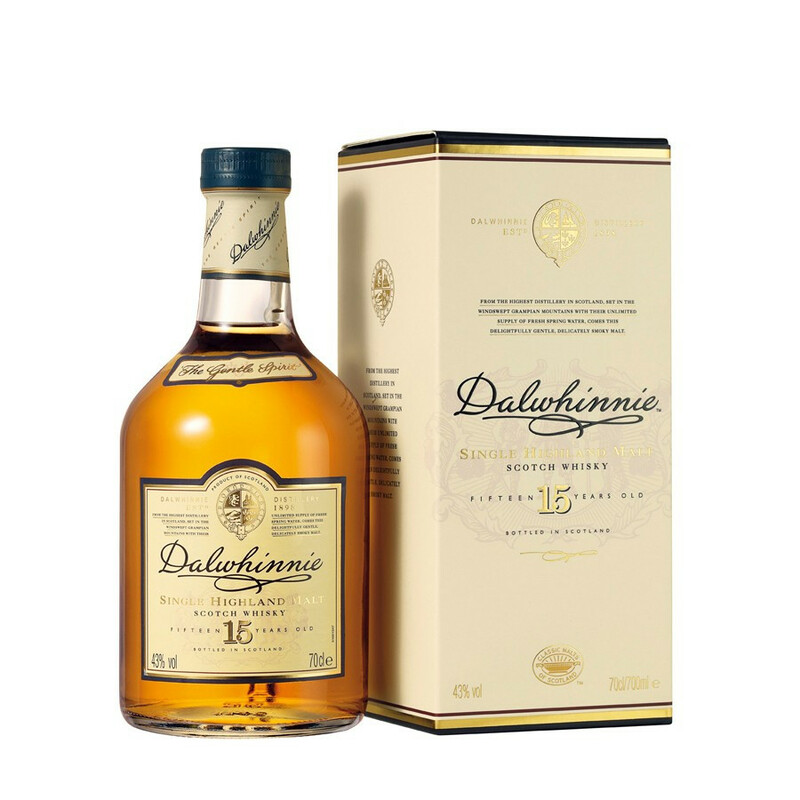 An iconic Classic Malt Selection whisky producer of the Highlands, Dalwhinnie has been delivering one of the best 15 Year-Old Single Malts since 1987. This amazing spirit has distinctive honey aromas, with tantalizing woody accents. With a golden yellow colour, a spicy, herbaceous and slightly smoked nose, the spirit evokes honey and bee wax but still with barley accents. A sweetened mouth confirms the nose with a marked return of honey, heather and lovely notes of mild spices. A milky finale reveals a slight sourness, liquorice, smoked barley notes with lemongrass and anise. The spirit has an sweet, flowery and characterful overall, and fully expresses its 15 years maturation in American oak barrels. 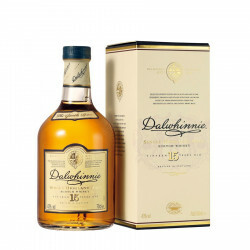 15 Years Old Dalwhinnie is part of the Classic Malts range, offering a unique tour of Scotland, on the way to discover the main malt whisky-producing regions. Every malt expresses the typicity of their region through their specific taste, flavours and character. For every Single Malts, spring water, soil and time work their magic to capture the genuine essence of the land in a bottle: from Glenkinchie, nestled in the green valleys of the Lowlands, to Talisker, battered by the winds on the Isle of Skye. Many distilleries from the end of the Victorian period have been built in inhospitable areas. Dalwhinnie is no exception to the rule as it is located at the heart of the Highlands, at the junction of the routes formerly taken by cattlemen from West and North Scotland, running more than 300 meters high. Dalwhinnie has always been consistent with its Gaelic name, meaning “the place to meet”. The distillery has been placed there as pure water flows down from the mountains’ snow melt, enriched by fragrant heather flowers, imparting the Single Malt its floral aromas and characteristic sweetness. Dalwhinnie draws waters from the “Lochan an Doire-Uaine” (translating as “the lake in the green bush” in Gaelic), more than 600 meters high in the Drumochter Hill Mount. Dalwhinnie is also perfectly located in the Highlands, as the distillery was on the brand new train line completed in 1897, the Highland Railway. The unique character of Dalwhinnie ranks the distillery in the Classic Malts Selection. Created more than 20 years ago, this selection recognises Single Malts crafted in the tradition of iconic distilleries, and offers the most impressive whisky styles Scotland has to offer. Nose: rich, sharp and dry with touches of heather. Palate: mellow flavours with silky and tongue-coating heather, honey and vanilla, opening on slightly more intense notes of citrus and malt. Finish: long and lingering, with a soft beginning that powers up in burning notes of wood and malt. Silver medal at the "San Francisco Spirits Awards" in 2018. 93/100 Excellent, Highly Recommended, Ultimate Spirits Challenge 2013.